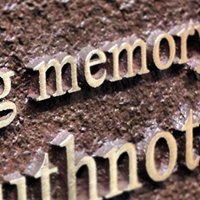 Family owned and run for over 40 years, Ewing Funeral Service provides high quality bereavement services to families in West Fife and Kinross-shire. 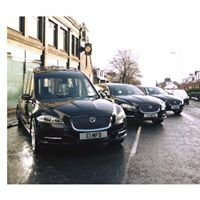 Ewing Funeral Service was founded in 1970 by John Ewing and his wife Barbara after realising there was a need for a locally owned and run funeral directors in the village of Kelty. John had, many years earlier, trained as a joiner/undertaker in his home area of Dunbartonshire and after spending many years as a clerk of works in the building sector, laterly with the Dunfermline Burgh Council and the District Council, returned to his previous occupation. Over the years, as the funeral profession moved away from the basic undertaking service to provide a full range of bereavement services and support for families, so Ewing Funeral Service has evolved. 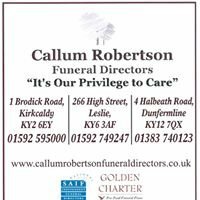 Firstly John's daughter, Margaret Dow, joined the business after completing her NAFD Diploma in Funeral Directing in the early 1980s then the company opened their first office in Kelty Main Street, opposite the Health Centre. Margaret then went on to become a qualified tutor in funeral directing and many, many members of the funeral profession owe their careers to the training they received from Margaret Dow. By the end of the 80s, Ewings were not only caring for families in Kelty but also in Cowdenbeath, Crossgates and across Kinross-shire and it was in this last area the company was to make its next expansion, opening an office in Kinross in the early 1990s. Sadly by now, John Ewing had passed away in January 1991 but under the guidance and leadership of Barbara and Margaret the company continued to invest in providing the best facilities possible for local families. Margaret's sons Ewan and Kevin joined the company in the 1990s with Ewan leaving for a short career in politics prior to returning to the business in 1999 and Kevin completing his Diploma in Funeral Directing prior to his calling to the priesthood. 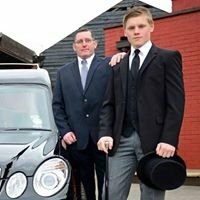 Crosbie Matthew Funeral Directors Ltd.